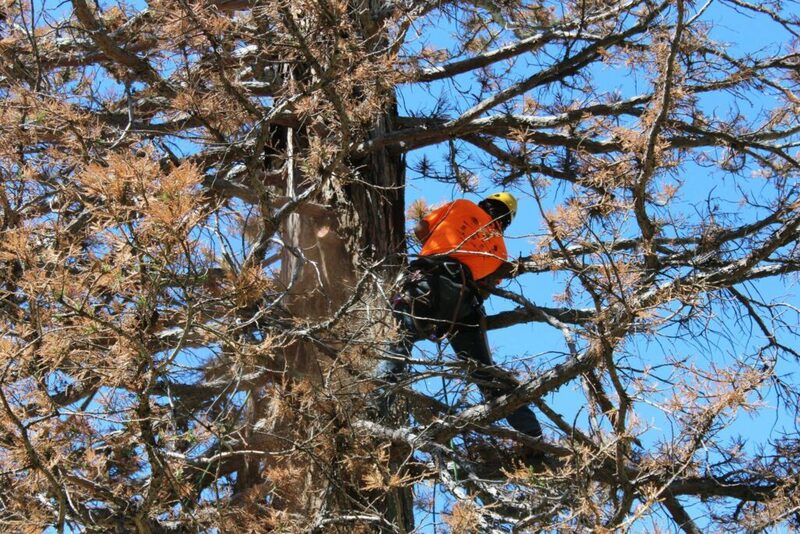 Daniel taking care of this giant sequoia. 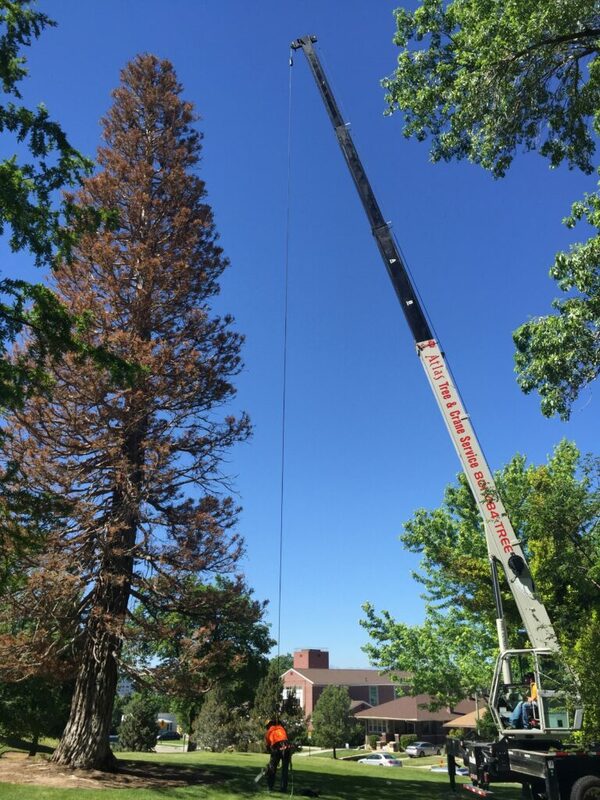 107′ giant sequoia removal at the U of U In the spring of 2016 we were contracted by the University of Utah to remove this beautiful giant sequoia tree. 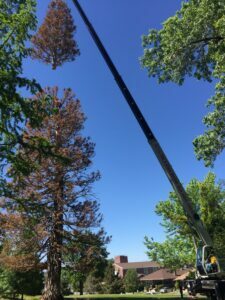 After watching it declined for over seven years a team of arborists at the University made the decision to remove this historic tree. The history of the sequoia tree is very interesting. It was planted by doctor Cottam sometime in the 1920s. After experiencing little to no stress, the tree thrived and grew rapidly. Sometime in the 1980s the tree was struck by lightning and shortly thereafter The university staff installed a lightning abatement cabling system to prevent future damage. Sometime around 2009 the tree started showing signs of stress and eventual decline. Fast forward to 2016. 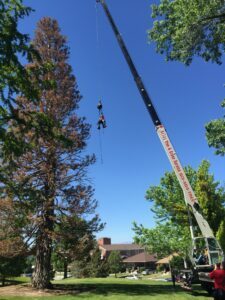 Atlas Tree Service Was is the obvious choice for the removal job because of its extensive tree removal experience and state of the art equipment. We performed this removal with zero impact using our 30 ton crane. The project was completed in one day and went smoothly. Removing a historic tree such as this is always heartbreaking. However, we take a lot of pride in doing it safely and well.